After hundreds if not thousands of cycles (opening and closing), your garage door will start to squeak. The squeak is a distinct reminder that your garage door’s rollers need urgent attention. As the pitch of the squeal becomes louder, it indicates that the situation is getting worse. If not fixed in time it could result in a garage door that’s stuck. good news is that Garage Door Roller Replacement is not expensive, and with a set of high-quality rollers, you won’t have to worry about it squeaking for a long time. 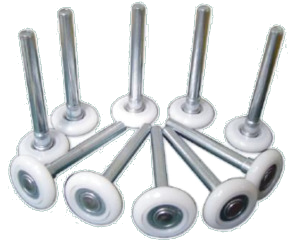 Our Team Of Professionals Has Years Of Experience Replacing Garage Door Rollers and Fixing a Myriad Of Problems. What Causes the Rollers to Start Squeaking? If you have recently had the rollers installed or if the garage door is relatively new the squeaking may be caused by debris and dirt in the roller bearings. However, if not cleaned properly it leads to the rollers becoming stiff and making it difficult to turn. Then there is also the fact that if the rollers are in bad condition, there is always the risk that the door may become unhinged or may bust loose both of which can be dangerous. We have seen cases where a fallen or unhinged door has done property damage, so it is always good to get the problem rectified before it is too late. At Elite Garage Door we are not your ordinary repair company. Even when we get called to a home or business for roller replacement our approach varies, based on the situation we face. As professionals, we know that not all rollers necessarily need to be replaced, sometimes they need professional oiling. Our garage door roller replacement and replacement service start with a thorough inspection of the garage door. Then when we have determined that it is, in fact, the rollers that are faulty, we will replace them with high-quality counterparts. All of this takes up to an hour, and before you know it, we are done. Elite Garage Door takes responsibility for the work we do. We have and continue to fix both the latest as well as older garage door models/types. Our professionals are so competent that we have no problem backing our workmanship with a warranty. Plus, we back the replacement parts used with a warranty too. So, you can be sure of years of service life from your garage door. As a professional service, we are only one call away. Our team of professionals will arrive at your home with a fully stocked inventory of all the parts and tools required to fix your garage door. So, whether it is a garage door roller replacement job or any other mechanical problem we assure you that it will be fixed in the shortest time possible. So, if you are experiencing issues with your garage door then call us right away! 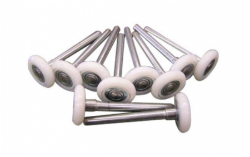 Schedule Your Rollers Replacement Service Now!